ANSYS develops, markets and supports engineering simulation software used to foresee how product designs will behave and how manufacturing processes will operate in real-world environments. Founded in 1970, ANSYS employs about 2,600 professionals, and many of them are engineers expert in fields such as finite element analysis, computational fluid dynamics, electronics and electromagnetics, and design optimization. Engineering simulation is ANSYS’ sole focus. For more than 40 years, ANSYS has consistently advanced this technology to meet evolving customer needs. CD-adapco is a Siemens business focused on CFD engineering simulation with a unique vision for Multidisciplinary Design eXploration (MDX). The simulation tools, led by the flagship product STAR-CCM+®, is part of the Siemens Simcenter portfolio and allows customers to discover better designs, faster. CFD SUPPORT is a consulting company for Computational Fluid Dynamics. Its main goal is supporting the engineers in their real value added work. CFD SUPPORT develops and supports simulation software TCFD®. TCFD® is a modern, automated and flexible workflow for CFD simulations. TCFD®’s main focus is turbomachinery. Convergent Science, Inc. and it’s flagship product, CONVERGE™, are revolutionizing the CFD industry. The groundbreaking technology removes the user defined mesh and implements an innovative new process that fully couples the automated mesh with the solver at runtime. This process combined with Adaptive Mesh Refinement (AMR) is shifting the paradigm toward predictive CFD. To learn more and see our worldwide distribution please visit convergecfd.com. Flow Science’s computational fluid dynamics (CFD) solutions allow commercial, academic, and government researchers to accurately model physical processes across a broad range of applications including water and environmental, coastal and maritime, metal casting, manufacturing, microfluidics, biotech, consumer products, and energy. Flow Science’s flagship CFD software, FLOW-3D®, provides highly accurate simulations of free-surface flows using TruVOF®, the original and true form of the Volume-of-Fluid technique. FLOW-3D is a complete multi-physics package with powerful modeling capabilities such as fluid-structure interaction (FSI), 6-DOF moving objects, and multiphase flows. FLOW-3D/MP accommodates the latest advances in high performance computing (HPC) and cuts runtimes by superior scaling. And FLOW-3D Cast has been designed specifically for optimal simulations of metal casting processes. Check out the FLOW-3D® / CAESES® website for more information. For more than 30 years, HydroComp, Inc. of Durham, NH USA has been a leader in providing hydrodynamic software and services for resistance and propulsion prediction, propeller sizing and design, and forensic performance analysis. Through its unique array of software packages and services, HydroComp has served naval architectural design firms, shipyards, yacht owners, ship operators, propeller designers, universities and militaries in more than 60 countries from around the globe. Both the well-known NavCad® ship resistance and propulsion software and the PropElements® detail propeller design tool provide extensible connectivity to CAESES® for cost-effective and time-efficient hull form and propulsor performance simulation, making them ideal companions for rapid design space optimization and as a preparatory step for CFD. ICON is a privately-owned CFD technology company formed in 1992 with headquarters in Windsor, UK. ICON has extensive experience in the use of proprietary software for CFD simulation and optimization, together with expertise in developing and supporting open source CFD technologies. It supports customers from a variety of industries including aerospace, automotive, consumer goods, energy and processing sectors. Our Swedish cooperation partner is a specialist in the development of CFD software. SHIPFLOW is a collection of tools for the hydrodynamics design of ships. Over the past ten years it has become the world standard for ship hydrodynamics CFD. The software suite is a powerful instrument for the optimization of ships and has thus been given a dedicated coupling interface to CAESES®. The close business partnership between FLOWTECH and FRIENDSHIP SYSTEMS is also reflected in the SHIPFLOW / CAESES® design package, which both software developers license mutually. They have worked conjointly in the R&D scheme VIRTUE. XFlow is a state-of-the-art CFD solution that uses new paradigms that break the limitations of traditional methodologies. The XFlow team includes talented leaders, highly competent Masters and Phd engineers, all highly passionate about computational fluid dynamics. Our customers are leading global brands in the aerospace, automotive, energy, electronics and manufacturing industries. We offer a strong value proposition, a close and long-term relationship, and we align our development strategy to the needs of our customers. Noesis Solutions is a simulation innovation partner to manufacturers in automotive, aerospace and other engineering-intense industries. Specialized in simulation process integration and design optimization, our flagship product Optimus is a multi-objective optimization software which helps our customers adopt an “Engineer by Objective” development strategy. The Optimus software platform identifies the best design candidates by managing a parametric simulation campaign and using the software tools of customers. After evaluating the proposed design candidates, customers pick the most optimal and robust design option to verify in detail and take into production. This winning multidisciplinary design optimization strategy delivers the best product in the shortest time possible while saving tremendously on resources. In July 2010, Noesis Solutions joined the CYBERNET SYSTEMS Group, a group of companies focused on Computer Aided Engineering. Noesis Solutions operates through a network of subsidiaries and representatives in key locations around the world. NUMECA International is a Belgian software developer and solutions provider for fluid dynamics simulations. It produces automated and customized Flow Integrated Environments. The software allows the design, simulation and optimization of flow problems. FINETM/Marine is a CFD platform for marine applications, which can be readily coupled to CAESES®, essentially adding the CFD functionality to the CAE system. Cooperation is entertained also between FRIENDSHIP SYSTEMS and NUMECA Deutschland. Pointwise is solving the top problem facing engineering analysts today: mesh generation for computational fluid dynamics (CFD). Pointwise’s meshing software generates structured, unstructured, and hybrid meshes; interfaces with ANSYS FLUENT, STAR-CD, ANSYS CFX and OpenFOAM as well as many neutral formats such as CGNS; runs on Windows, Linux, Mac, and Unix; and has a scripting language that can automate CFD meshing. Pointwise software is known for its high quality grids and ease of use and for the expert technical support provided with it. More information is available on Pointwise’s web site, pointwise.com. SimScale is a revolutionary 100% cloud-based CAE platform that lets you seamlessly simulate, share, and collaborate in a community of 65000 engineering professionals.The SimScale platform is accessible via a standard web browser, harnessing the power of the cloud and cutting-­edge simulation technology to build not just another simulation software but an ecosystem in which functionality, content, and people are brought together in one place enabling them to build better products.Try the Community plan or the 2 weeks trial for the Professional account for free and perform CFD, structural mechanics, or thermodynamics analyses. Flow simulations used in modern design processes require substantial computational resources. Consequently, high-end hardware and software solutions are regularly needed to drive design by simulation. However, investments in this field are sometimes very costly, binding capital, know-how and staff outside a company’s core competence. CPU 24/7 and FRIENDSHIP SYSTEMS have therefore started a cooperation to support high performance computing. CPU 24/7 provides tailored IT resources both remote and on demand. They offer services as carefree packages for hosting, housing and selling with the target to allow heavy load simulations whenever needed. Remote access to the computational power by CPU 24/7 can be realized via the CAESES®. The CPU 24/7 extends it’s business model and is now also offering High Performance Computing on Demand where customers can book their private HPC cluster for high speed calculations. dive.sph is an aspiring startup from Berlin, Germany. It provides particle-based Computational Fluid Dynamics, using Smoothed Particle Hydrodynamics (SPH). Being of Lagrangian nature, SPH is mesh-free. This makes simulations of highly dynamic systems and of complex shapes very efficient. The company is a spin-off from Beuth University of Applied Sciences and the Technical University of Berlin. The Hamburg Ship Model Basin (Hamburgische Schiffbau-Versuchsanstalt) sustains expert knowledge in hydrodynamic research. The independent institution has , therefore, been involved in various international R&D. HSVA and FRIENDSHIP SYSTEMS have worked conjointly in a number of research projects (VIRTUE, FORM-PRO, OptiSWATH). HSVA’s wave resistance flow code n-SHALLO is a fully non-linear, potential code computing the inviscid flow around a ship hull at a free surface. It can be tightly integrated in CAESES® via a plug-in. New Zealand-based writer and yachtsman Kevin Cudby regularly publishes on yachting, power boating and motoring. Together with FRIENDSHIP SYSTEMS he has conducted a research on the k-spline curve, a development of his, and its application in hull modeling. Over 2007, we worked out the implementaton of this parametric section curve in CAESES®. This application has been successfully used for the design of yacht hulls for Groupe Finot—the prototype of a 3.6m dinghy was built in October 2009. Check Kevin Cudby’s website for the paper and thorough information. An editorial piece introducing the k-spline in yacht design was published in the March/April 2010 issue of Ship & Boat International. Based in Wageningen, Netherlands, research institute Marin exercises hydrodynamic research and development for the worldwide maritime industry. The company operates a business unit for maritime simulation and software. One of MARIN’s software tools for hydrodynamic research is Rapid, a wave resistance and flow code. Rapid can be coupled to CAESES®, for which both software developers have developed a distinct XML interface. MARIN was, like FRIENDSHIP SYSTEMS, part of the R&D team of VIRTUE. 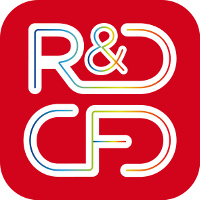 R&D CFD is an Italian Spin-Off Company of the University of Modena and Reggio Emilia and it was born in 2012 from the “Internal Combustion Engine Research Group”. The company provides a high qualified consultancy for all the thermo-fluid dynamics applications by means of CFD tools. The main expertise consists of internal combustion engine simulations, with particular reference to heat transfer processes and knock prediction. Sentient Blue is a cutting edge team formed to compete in the Little Cup, combining sailing excellence with pioneering technology. Sentient Blue is a young-at-heart, dynamic team driven by science and passion. We are comprised of sailing-professionals, specialists in several engineering disciplines and marketing. The combination of youth and experience showcasing skill, science, knowledge and passion helps to make our collective vision come true. UberCloud speeds up your workflow in the CAESES® software by running your simulations on public and private clouds in a high-performance computing (HPC) environment. We enable you to run full-system simulations without being constrained by the computing power of your workstation. With UberCloud, you can choose where you want to run your simulation software: either on your favorite cloud provider or your own private cloud, depending on your model size, budget, and any other requirements you have. UberCloud allows you to continue using CAESES® and other CFD software as if it is running on your own workstation, except much faster. For more information about our user-friendly solutions around CAESES®, please visit www.theubercloud.com. DNV GL is the world-leading provider of software for a safer, smarter and greener future in the energy, process and maritime industries. Our solutions support a variety of business critical activities including design and engineering, risk assessment, asset integrity and optimization, QHSE, and ship management. Our worldwide presence facilitates a strong customer focus and efficient sharing of industry best practice and standards. Founded in 2009, FsTech employs more than 10 professionals with expertise in CAE and optimization. Engineering simulation is our sole focus, and we specialize in software sales and consulting as well as OpenFOAM CFD custom development. 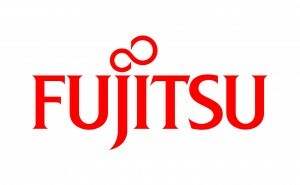 Fujitsu Kyushu Systems Ltd.(FJQS), a subsidiary of Fujitsu Limited, was founded in 1981. FJQS has been providing software and services related to CAD, CAE, CAM and PDM for various industries, including the automotive, consumer electronics, industrial machinery and shipbuilding, on the basis of Fujitsu’s cutting-edge technologies. We have broad experience and knowledge in the utilization of not only CFD, but also structural FEM analysis and HPC, so we are able to offer high-quality solutions. Kyungwon Tech provides various CAE software (CAESES, Simerics, CFTurbo, Barracuda and EnSight etc) and comprehensive consulting services focusing on CFD and Plasma. K-SPEED is its own simulator for etching profile prediction relating semiconductor process and accompanied phenomena such as bowing, necking, etch stop and polymer passivation etc. MantiumCAE is an engineering consultancy dedicated to CFD simulations with focus on aerodynamics, optimization and CFD process automation. The company assists organizations to create products with greater aerodynamic performance and also to establish, enhance and optimize their CFD capabilities. In addition MantiumCAE is an XFlow channel partner for the German market. Navist is an engineering and consultancy company offering comprehensive multidisciplinary CAE and R&D services in every engineering domain from CFD, thermal, structural to 1D system level simulations. Following the latest CAE trends and industry vision, Navist incorporates the newest simulation techniques and advanced optimization methodologies in virtual prototyping projects for its customers as well as in its in-house R&D projects. Navist, catering engineering and design services to a broad range of industrial sectors such as aero/defense, automotive, maritime, power generation and turbomachinery, also has become partner with CAESES to provide simulation-ready CAD, CFD automation and optimization methods in Turkey. Along with the software solutions, Navist provides technical support, tailored training and engineering consultancy services. Nanjing Tianfu Software Co., Ltd (NJTF) was founded in 2011, and employs more than 40 professionals most of whom hold Masters or PhD degrees. With expertise in CFD, FEA, and design optimization, NJTF is dedicated to provide engineering simulation software sales, support, and consulting services in China. 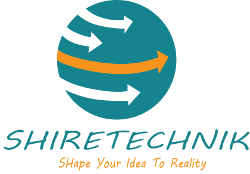 Shiretechnik Solutions is an engineering design solution company located in Bangalore offering engineering services and developing automated software for engineering applications. The company offers design solution services for telecommunication, automotive, aerospace, defense and medical applications. Shiretechnik Solutions is uniquely positioned to provide clients with superior results which optimize the design and maximize the performance of products with higher reliability. They are specializing in software sales and consulting as well as OpenFOAM custom development work. SimFWD based in Athens, Greece, is a research, engineering and consultancy company, offering advanced engineering, consulting and software deployment services in the transport and manufacturing industries. The company focuses on computer aided engineering technologies such as FEM, CFD and System Simulations with the aid of state of the art Software. SimFWD provides to customers integrated design and engineering services in the Maritime / Offshore and Automotive sector. The range of services starts from the concept idea until the product is put in service and continues through life-cycle service as maintenance, repair and conversion. SimFWD aims at helping customers develop optimal product designs and processes by supplying them with customized engineering analysis and software solutions. Strong Eagle is an engineering and business development consultancy specializing in computer aided engineering (CAE) software, which is used by design and analysis engineers across many industries. The main areas of expertise are computational fluid dynamics (CFD), automation, and optimization. Strong Eagle works with software vendors from Europe and North America and helps to introduce their products to different regions, with a major focus on Asia Pacific.